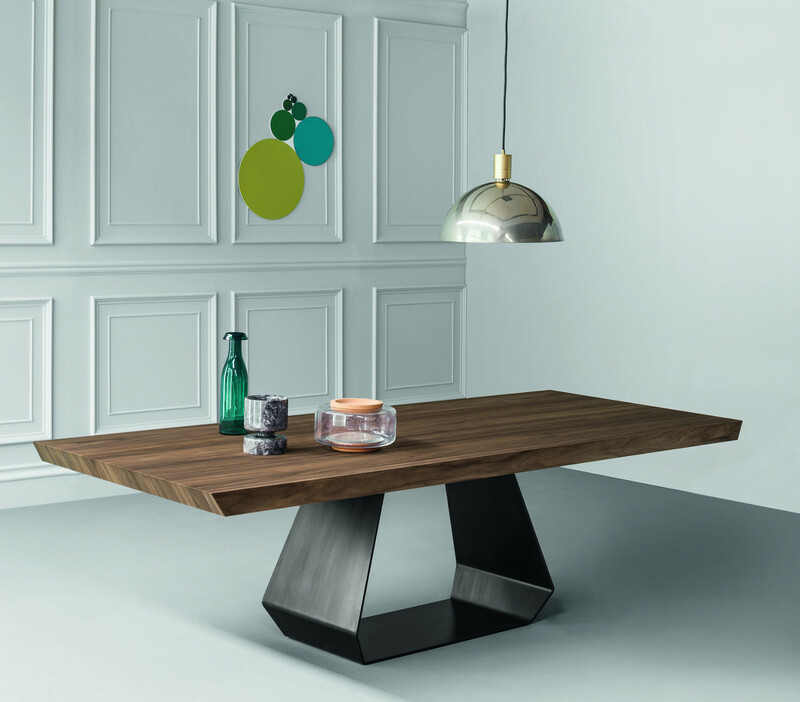 The Amond dining table from Porada has an extra thick top providing a sharp yet pleasing contrast with the dimond shaped base. 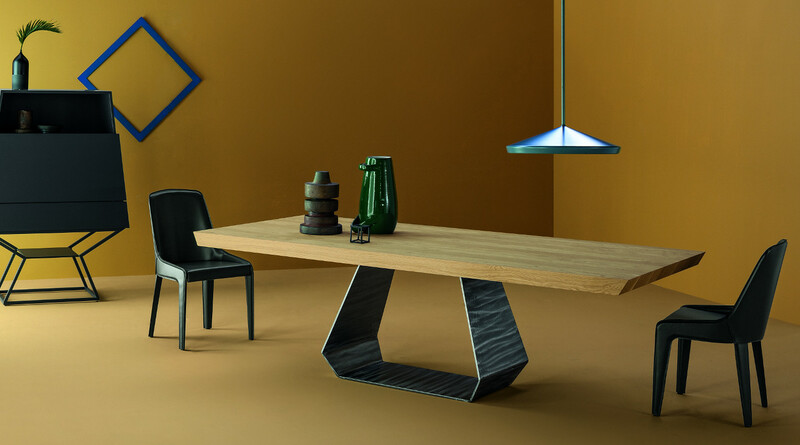 The void in the centre of the base gives the Amond table a lightness to balance with the heavy top. Both the top and the base are available in a variety of finishes (please see below). For more information, samples or prices on alternative sizes please email us at purves@purves.co.uk or call 020 3397 3723.
w 300cm x h 75cm x d 108cm (100cm with matt ceramic top, 120cm with natural edged wood top). Top - canaletto walnut (not polished), American walnut with natural edges, natural polished oak, anthracite grey polished oak, heat-treated polished oak, black acid-treated glass, white extra-light acid-treated glass, anthracite grey acid-treated glass, glossy Calacatta ceramic. Base - copper-finished metal, brass-finished metal, pickled-finished metal, polished steel, mat white painted metal, mat black painted metal, mat anthracite grey painted metal, mat red painted metal, mat dove grey painted metal, mat saffron yellow painted metal, mat green painted metal, mat blue painted metal, mat bordeaux painted metal.